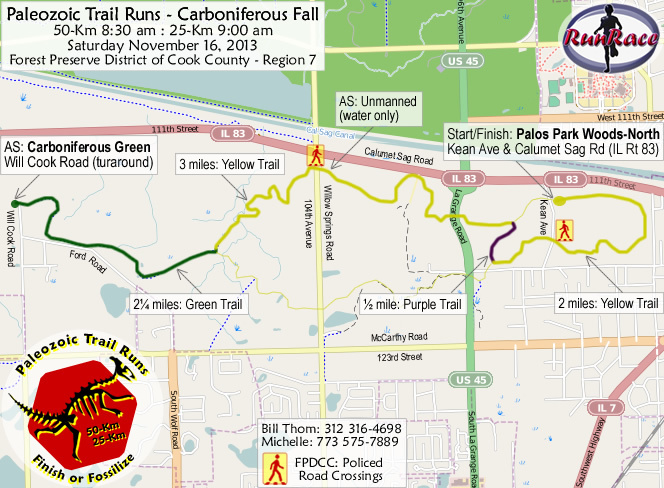 Trail Runs on the Palos Trail System! Prevailing southerly winds provided seasonally warm weather with race-day dawning at 6:42 am, temperatures already in the upper-40s°F. Volunteers Mike Ward, Jennifer Leslie, and Jeni Goodwin reported ready-for-duty, and helped prepare our check-in/start/finish area while Stephen McCracken was out on the trail finalizing racecourse markings. A shiny "Born Free Leap'n Lions" RV crept into rock-star parking and out popped legendary runner Russell Cheney, eager for his early start. Ever curious, he'd scoped our trails on Friday. We sent Russell off at 7:22 am... Paleozoic Trail Runs - Carboniferous Fall was officially underway! Other participants arrived, trickled through check-in, and prepared for their adventure. Our 50-Km "peloton" started at 8:33, two laps lay ahead. All 25-Km runners took off at 9:04 for their one-lap tour. Our racecourse is an "out -n- back," following segments of the Yellow Trail, Purple Trail, and Green Trail systems of the Palos Trail System - Region 7. Comprised of wide, crushed gravel paths, the course is easy-to-follow and non-technical, but considered "quite hilly" by Chicagoland standards. This time of year... long stretches of trail are blanketed under fallen leaves. FPDCC police served as centurions at our two road crossings. 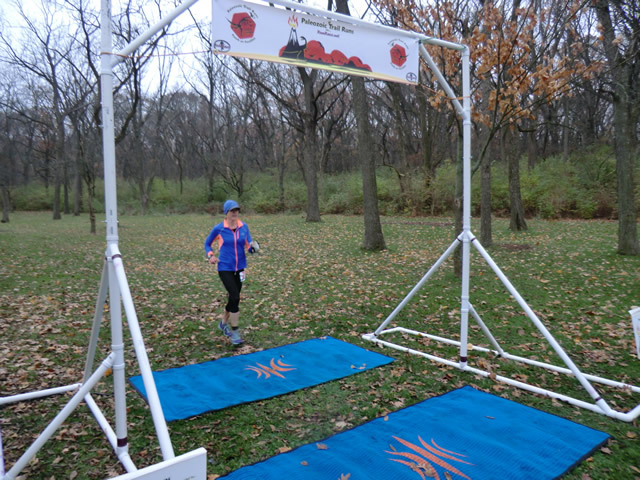 Staffed aid stations were set up at our start/finish area, "Palos Park Woods-North," and at our turnaround, "Carboniferous Green" (unofficially named at the west terminus of the Green Trail). A midpoint, unmanned water station was located trail-side at ~4.4 miles outbound, and ~3.3 miles inbound of each lap. Congratulations to our swift runners, and current holders of course records! Let's give a rousing "shout out" to our race volunteers, most of which are accomplished ultra-runners, all of whom performed "beyond the call!" Click the "View Photos" tab (above) to see a gallery of photos captured at our start/finish area, "Palos Park Woods-North." 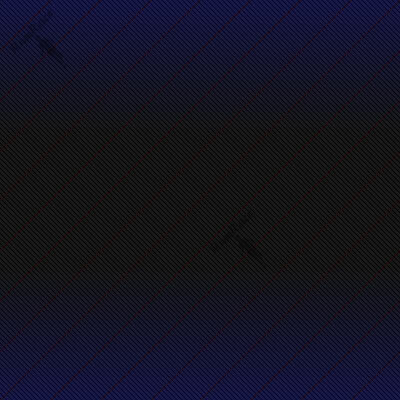 These photos (under the "View Photos" tab) have been optimized for display on the internet... if you'd like a "high-resolution" original contact me and I will reply with an email attachment... be sure to specify which photo(s) you'd like. Congratulations to all who participated in our Paleozoic Trail Runs - Carboniferous Fall! Please plan to participate in our upcoming Paleozoic Trail Runs, which will take place in the early spring of 2014. Until then... Do Not Fossilize! "A" marks the location of our Start / Finish: Palos Park Woods-North, Grove #1. "B" marks the location of our Carboniferous Green aid station / turnaround point: Green Trail & Will Cook Road. Note: The last mile leading to the turnaround aid station is actually trail... but, Google couldn't map that section of trail. If you have the Google Earth plugin installed, you may click the "3D>" button (left-side of split screen) and experience a flyover tour of our course as it meanders westward from the start, to the turnaround.